Ever since Congress passed Section 230 of the Communications Decency Act giving immunity to interactive service providers for publishing the defamation of others, a wide range of characters has arisen and infiltrated the mainstream blogosphere. Instead of becoming a source for obtaining reliable information, the blogosphere, and user generated content, is at risk of becoming a less credible information source. Dozier Internet Law defamation lawyers are constantly battling these “black hat” forces and over the past several years we have acquired quite an insight into this underworld; an anonymous and covert society bent on terrorizing businesses. These are our internal thoughts on the matter, and not scientific analyses. We are not psychiatrists; just defamation lawyers and trial lawyers trained for almost fifty years to figure out the human nature of clients, witnesses, and juries. All too often blog attacks are simply protection rackets and extortion schemes in disguise. We have been working on documenting the organizational structure and operational methodologies used by these racketeers. For now, let’s take a look at the entire panoply of characters we seem, as business defamation lawyers, to run into. For those businesses under attack, it is essential that you first identify the publisher’s persona and motivation before beginning to identify the proper strategies for addressing his often seemingly legitimate posts. We don’t go into details on how we work with clients to deal with each type of personality, but the tools vary considerably from being passive, to utilizing SEO services, to implementing reputation management initiatives, to pre-litigation and lawsuit actions. This is the guy who used to wait on street corners for elderly ladies to pass. He enjoys attacking defenseless people and stealing covertly using deception. This type of blogger will steal your copyright protected content, have the search engines push your prospective clients to his site, and then run ads and otherwise direct the traffic to your competitors. He could be an affiliate marketer for a competitor getting a share of the revenue, or he could simply be running Google or Yahoo ads on his site. Pickpockets also take great pleasure in stealing your trademarks… surreptitiously using your mark in hidden tags, meta tags, hidden redirect pages, or through a myriad of search engine optimization techniques, all in the hopes of re-directing your prospects to a competitor and taking money from you. We usually identify a wacko situation quickly. There are distinctive characteristics of his communications. The wacko is usually a “follower”, someone looking to gain attention and recognition, but escalates what may have started as fair criticism into more and more outrageous claims. Most sophisticated business people immediately view the poster as a “nut case”, particularly when an excessive amount of time or energy disproportionate to the merits of the subject is expended. But it is not easy for the typical browser on the web to see the pattern, usually spread over multiple web properties. Or, maybe “liquid courage” would be more appropriate. This guy is exactly what comes to mind. During the day this blogger is a normal guy, but at night he returns to the sanctity of his home, gets drunk or high, and goes out on the web looking for “hook-ups” and blogging on his “hang-ups”. This guy is hard to detect as a fraudster, and sometimes won’t recall what he said online the next day while under the influence. He posts aggressive, false and arbitrary attacks on whatever issue of the day (or night) catches his fancy. No, not from another world. But from overseas. In a far, far away place, without any treaty with the US, in a country without an effective legal system and no notion of business or personal property ownership rights. Many of these types operate out of certain Russian provinces, but the blogs, postings and communications appear to be from the customer down the street. This individual usually has an ulterior motive, often working with the criminal discussed below. He has no fear, until he takes a vacation to Turkey and US federal agents grab him for extradition, which is exactly what happened on a case in the not so recent past. This is the guy who is scared to talk with a girl, but behind the keyboard, all alone, morphs into a Casanova. This empowerment of anonymity creates an omnipotent persona, and for the first time the nerd feels the effect of power and control, gets an adrenaline buzz when he exercises it, and he exercises it often, usually creating or perpetuating a volatile situation in which he feels he can outsmart the “opposition”. There is no principle involved. His blog postings are all about the adrenaline. 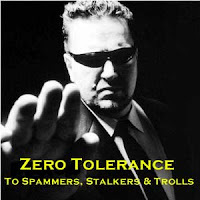 It is hard to know if you are dealing with this type online… his posts are intelligent and on their face credible. But, once you identify the nerd blogger, he cowers and goes away, usually forever. Enjoy debating a thirteen year old? They are out on the net acting like adults, posting statements and play-acting like a grown-up. The challenge, of course, is that most people reading the posts have no idea these are coming from a kid. The tip off can be the utter immaturity of the posts, but most often the kids can sound credible criticizing, for instance, a CPA’s method of calculating RIO on REIT holdings, because they can mimic earlier posts. There is no insidious motive here; just kids having fun as the hormones kick in. But the readers of the blog posting don’t know that. This person attacks others, causes pain, and revels in the results in ways not worthy of mention. He loves to create, direct, control, and unleash a firestorm of criticism about a company just to create pain and damage. This type of person may often by the prime instigator of the online attacks, and tightens the noose by escalating the attack rapidly, almost as if in an obsessive state. You will find a sadist going to many sites and blogging, and he usually lets you know it was him because he uses his real moniker. He has characteristics of a stalker, and he is most likely to be the one that starts recommending direct physical violence against the executives of a company. This person is not motivated by money, but by the pure enjoyment of pain being visited upon innocent parties. No, not morally bankrupt. Actually bankrupt… no money, no assets, no prospects for work, and nothing to lose. These bloggers post without fear of the consequences or any regard for the truth because you “can’t get blood out of a turnip”, you “can’t get water from a rock”, and all these other sayings handed down, we surmise, through his generations. This is usually not a smart guy, but his postings are damaging and inflammatory. Many will own and control blogs without any concern about the consequences of liabilities that might arise through the perpetuation and “enhancement” of posts, and sometimes will post to their own blog and act like it was from a third party. Career criminals, no less. Like the convicted felon running a sophisticated extortion scheme against a very prominent business. Or the owner of an open blog avoiding service of process with guard dogs protecting his compound. The thieves and crooks of the world are online today; and the criminals often have both an organization and a highly effective and surprisingly coordinated operational plan in place to target a business. Rumors of $500,000 a year payoffs seem to promote this problem, which emanates from more of a “mobosphere” than the blogosphere. This person is in no manner a leader. This blogger has a hidden agenda, but he just makes it sound like he is a totally objective commentator. He can create an appearance of authority and the casual visitor to his blog does not question the legitimacy. This type of persona is hard to figure out. One of the most pervasive practices is to control a blog and allow negative posts against all except his generous advertisers. Another common technique involves omission; not disclosing conflicts of interest or the existence of a business or personal relationship because the readers of the blog would totally discount the commentator’s posts as unreliable and biased. In closing, most of the blogosphere is legitimate, offers honest opinions and comments that add value to an open dialogue, and is an excellent example of the exercise of constitutionally protected free speech. As business defamation lawyers, we seen another side. The “mobosphere”, on the other hand, operates outside of the spotlight and often uses reckless, irresponsible, false and defamatory statements for personal or professional gain, all too often focused on self gratification and pecuniary benefits. As businesses attempt to leverage user generated content (“UGC”) into a valuable tool in the Web 2.0 environment, the proliferation of the scofflaws interrupting the free flow of credible speech in the online world puts at risk the reputation and integrity of UGC and raises the very real risk that consumers will begin viewing web content with disdain and suspicion. 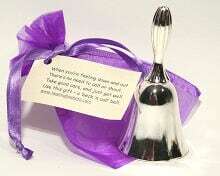 For Whom This Bell Doth Toll? Gimme A Break! It’s more like a death march tolling out .. .. .. .. .. .. .. .. .. .. .. .. .. .. .. ..
Now I’ve seen it all, folks! you should always be acting like a keeper! Keepers think alike too, BTW. & the very best that anyone can have. I just don’t know how else to put it. then you are one of them too!